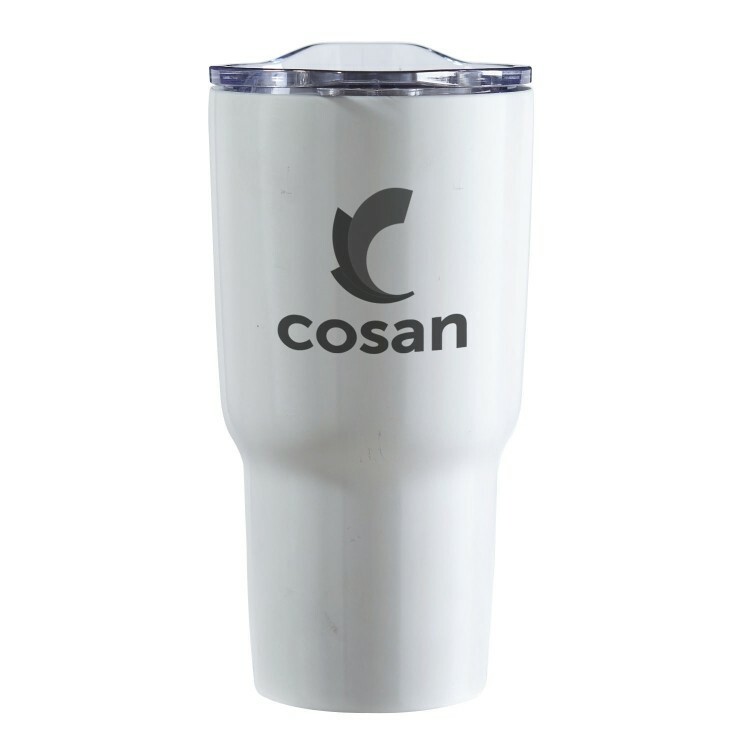 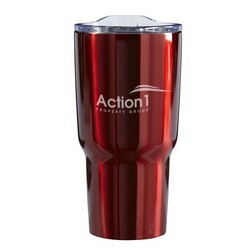 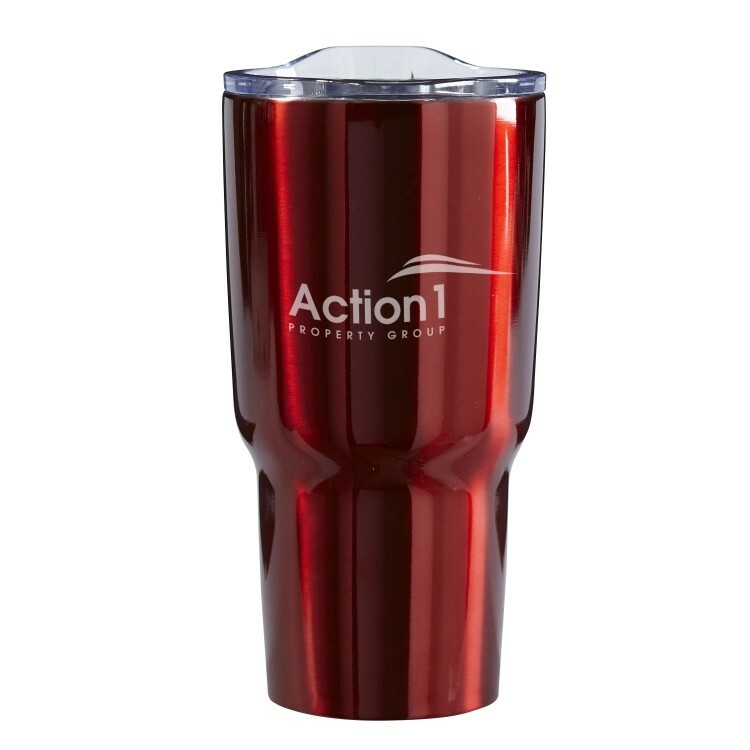 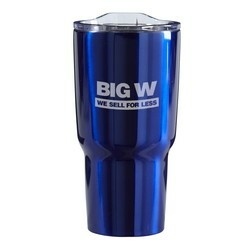 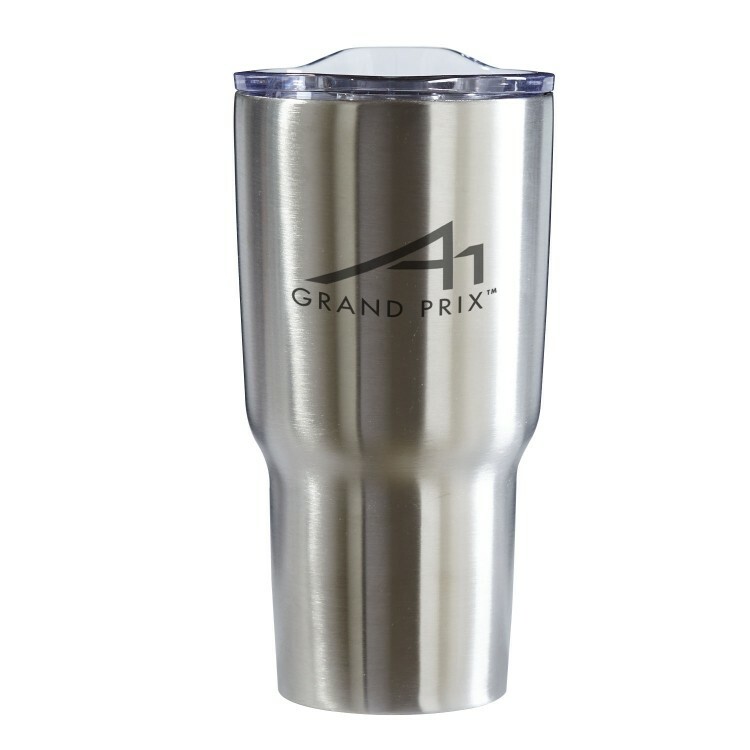 Product Highlights: Big Foot 30 ounce tumbler keeps your cold drinks cool and your hot drinks warm through a sturdy construction of double wall, vacuum insulated stainless steel. 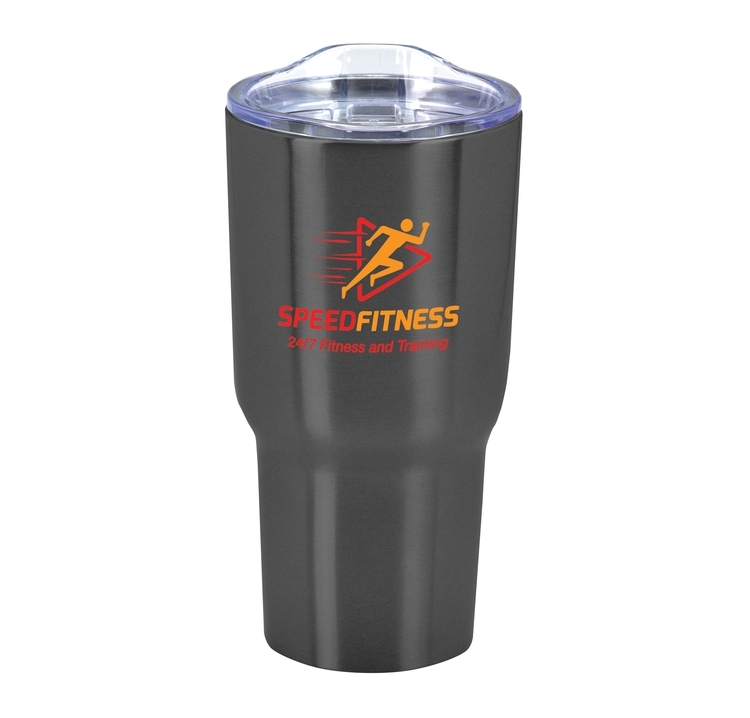 Laser imprinted logos and messages will stand out beautifully on this item that is generously sized to keep you hydrated while still fitting in most standard cupholders. The lid includes a slide function to allow easy access to your drink. 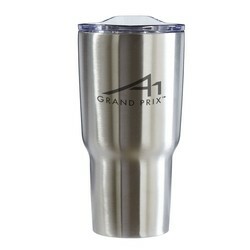 Imprint Dimensions: 1.75" x 2"